Reports of the demise of email marketing have been greatly exaggerated. That is what Dynamic Yield would like to convey to industry detractors who decry the effectiveness of email as a marketing tool. The ad tech vendor launched a suite of services this week that it said would enable marketers to send personalised email to better engage their customers. Dynamic Yield for Email had been integrated with the vendor’s main personalisation software, so marketers would be able to tap user data and preferences across different channels such as web, mobile app, and email, as well as enterprise systems including DMPs and customer relationship management (CRM). Recognising that email had become commoditised, Dynamic Yield aimed to change the practice of delivering ‘spam-like email’ to personalised email, sent at the right time with the right message. This would enable marketers to better engage consumers and build customer loyalty. 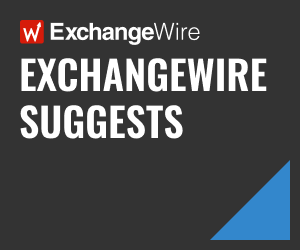 ExchangeWire caught up with Dynamic Yield’s Asia-Pacific general manager, Ander Orcasitas, who stresses that email today is just as relevant and a powerful tool to reach consumers. However, he notes, marketers now have a smaller window to capture user attention as most consumers access their email on mobile devices. This underscores the importance of personalisation, Orcasitas said, adding that email is just as important a marketing tool as mobile ads. He also discusses a common error marketers in Asia-Pacific make and offers advice on how they can improve the impact of their email marketing campaigns. Dynamic Yield currently has active customer deployments across Asia-pacific, including Singapore, Hong Kong, Australia, Thailand, Malaysia, and Indonesia. ExchangeWire: What are some common challenges Asia-Pacific marketers face in tapping email for their campaigns? 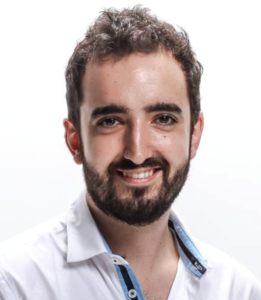 Ander Orcasitas: Among the main challenges faced by marketers in the region, and around the world, are decreasing consumer attention spans, limited digital real estate, due to mass migration to mobile, and fragmented data on which to base email content. Unique to Asia, also, and a major challenge, is that there are often many digital profiles within a single country. For instance, savvy iPhone city dwellers expect fundamentally different email experiences than Android users in smaller towns, placing an even bigger emphasis on personalisation. Why is email marketing still relevant when there are many other ways to reach consumers today, in particular, mobile in Asia-Pacific? Why should a marketer here consider email over mobile ads? Email is just as relevant and powerful for reaching consumers today, but the nature of email has changed. Most users are checking email on their phone, giving marketers an even smaller window in which to capture their attention. While email continues to effectively attract customer impressions, converting them requires personalisation. That’s where vendors like us come in. Ultimately, it isn’t an either-or situation with email and mobile ads. Mobile ads, and other marketing channels, are important for user acquisition, but you still need to engage and nurture those customers after you’ve brought them to your site, store, or app. A key error that is prevalent in Asia-Pacific is that marketers spend disproportionate amounts of their marketing budgets on user acquisition, only to serve a subpar experience onsite and in email. Think of email as the top-of-the-funnel mechanism for your existing customer base – from bringing them to the site, app, or store with a sales promotion, to recovering a user if they’ve abandoned their shopping cart. Email enables marketers to engage their customers throughout the entire purchasing process. With 269 billion email a day projected to be exchanged in 2017, how can advertisers stand out from the noise? According to a research study we conducted, 88% of consumers in Asia-Pacific are more likely to respond favourably to an email that is personalised for them. 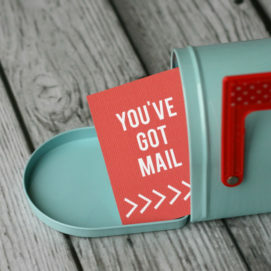 This indicates that marketers need to ensure their email messages are personalised and relevant to each recipient. Gone are the days of retailers blasting out a standard email to their entire customer base or list and hoping for the best. Dynamic Yield touts its ability to ‘personalise’ email messages in ways other similar tools can’t. How does it do so? Ultimately, it all comes down to data. Dynamic Yield for Email is powered by the same machine learning-powered engine that drives personalisation across all marketing channels. We offer a full suite of email personalisation capabilities so that marketers can truly deliver 1:1 email messages to each customer. They can leverage user data from all of their customer channels, including web, mobile app, and any existing enterprise systems, to inform the content served to a user via email. For example, if a user looked at shoes on a mobile app, the retailer could send an email with personalised recommendations based on the types of products she or he viewed or purchased in the past. Open-time Recommendations: Recommendations in email are personalised based on user behaviour, affinity, past purchases, and so on, and rendered the moment the user opens an email. Open-Time Dynamic Content: Creative banners and copy of the email can be customised for email users based on past purchases and behaviour in any digital channel, loyalty programme data, or data in a retailer’s CRM software. Triggered Emails: Personalised messages are created based on custom events such as a user leaving an item in their cart. Dynamic Yield also offers testing and optimisation tools built into email, allowing marketers to test which messaging and recommendation strategies resonate best with different audience segments. What advice can you offer Asia-Pacific marketers who want to improve their email marketing results? One overarching theme is to make sure your email marketing efforts don’t exist in a vacuum. It is absolutely essential to align email with your mobile and onsite experience to ensure shoppers receive a cohesive experience. If that means physically moving the email marketer’s desk so she sits next to the team responsible for the mobile app experience, do it. More tactically, Dynamic Yield research shows that shoppers in Asia-Pacific are more likely to leave items in their shopping cart in anticipation of a discount or promotion code, if they’re willing to wait. Thus, triggering a shopping cart abandonment email that includes a discount after they’ve abandoned a retailer’s website can be particularly effective.